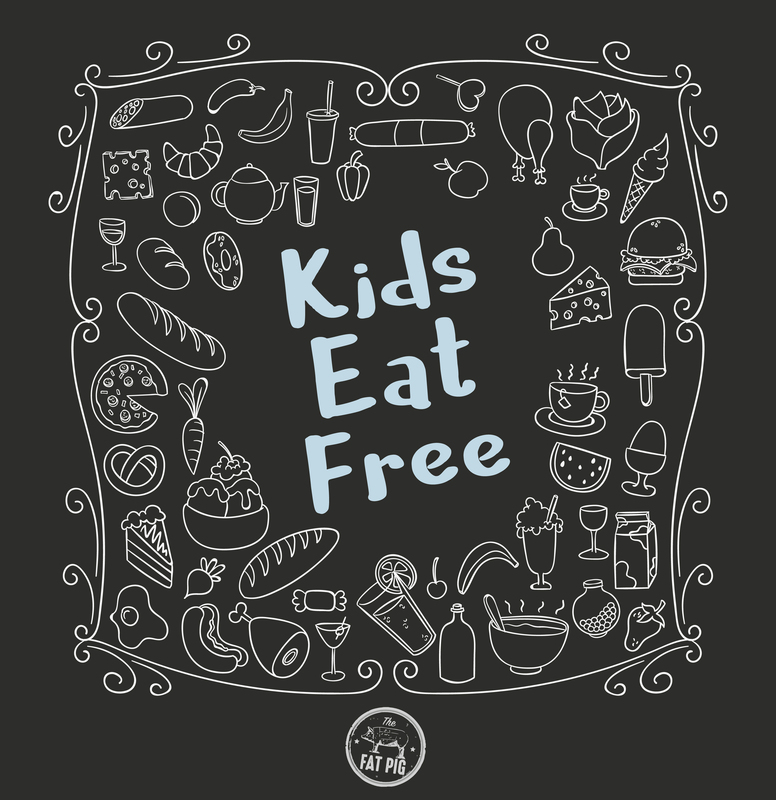 KIDS EAT FREE at The Fat Pig at Chequerbent every day until 7pm. Offer entitles each child to one free kids’ meal per adult ordering a main course. Offer includes a choice of main meal from our Little Pigs Menu. Any side dishes, extras, drinks or desserts are not included. Available in The Fat Pig Restaurant only. Valid until withdrawn. Not to be used in conjunction with any other offer. No cash alternative available. All menu items are subject to availability.